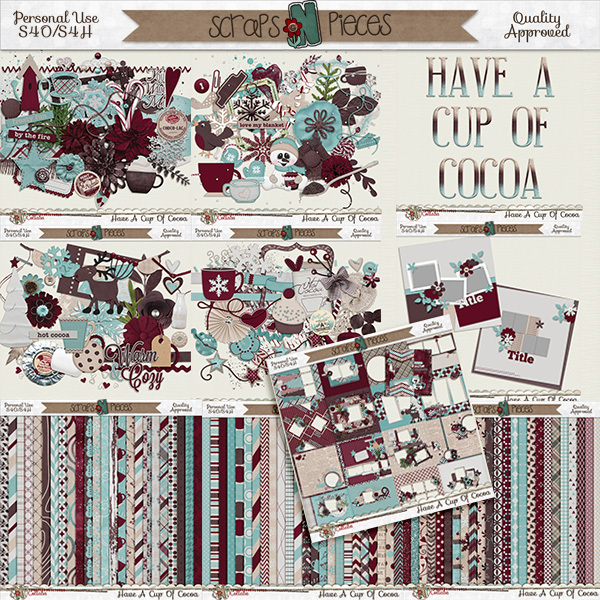 November’s SNP Collab Kit is super adorable. Have a Cup of Cocoa is perfect for scrapping your wintry photos. However, there are more than enough generic elements to scrap all kinds of life’s little moments. My sister recently asked me for some photos of my Mom when she was a little girl and while searching through my heritage photo collection, I found the perfect photos to use with this collab. 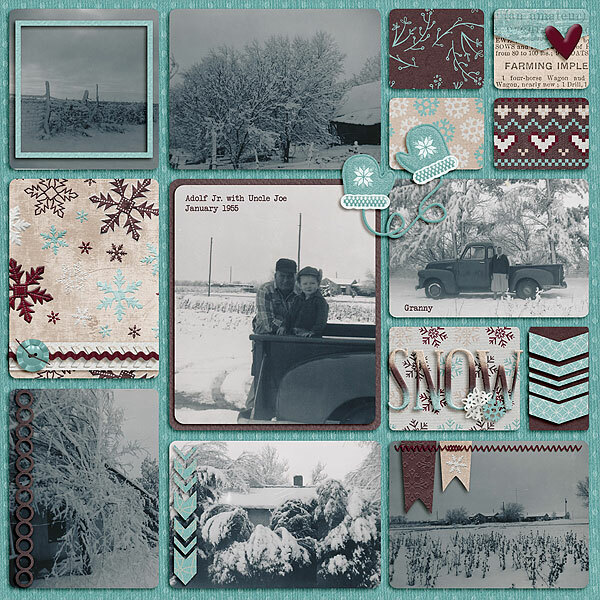 First up a layout of a snowfall captured by camera in 1955. Most of my heritage photo collection are a single photo per event, but these were all in a little envelope and they were labeled with Jan 1955. Of course, it’s possible these were developed then and taken earlier, but that’s a pretty close date. It’s kind of funny to think of my Uncle Adolf as a little boy, but he was so cute here. Isn’t the template from Wendy’s latest template set, Temptations Vol. 45 perfect? This second layout is a second cousin of mine and normally I might not have scrapped it, but his little outfit is perfect with this kit. Don’t you love how I made a winter kit work for a baby layout? Don’t forget that today is the last day to pick up December’s collab 50% off sight unseen. Here’s the color palette.